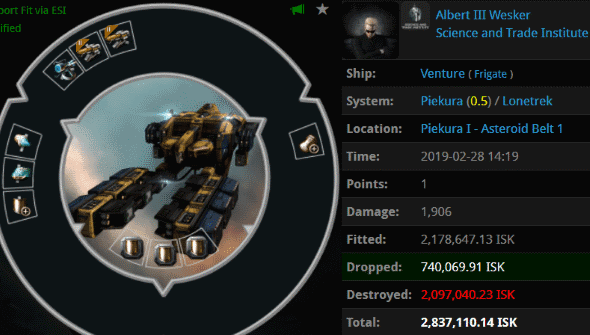 He was new to EVE, but he was already falling out of love with the game. Samuele KLLSM was discouraged. 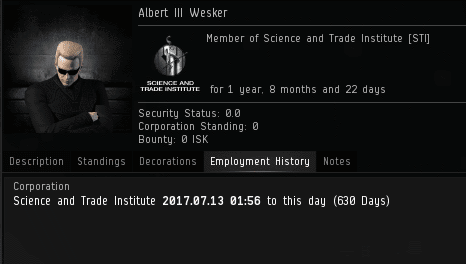 He saw a lot of opportunities for isk grinding, but few for fun. In a last-ditch effort to find something worth renewing his subscription for, Samuele went to the Rookie Help channel and asked if anyone knew how to learn PvP. As fate would have it, Samuele found someone willing to help. 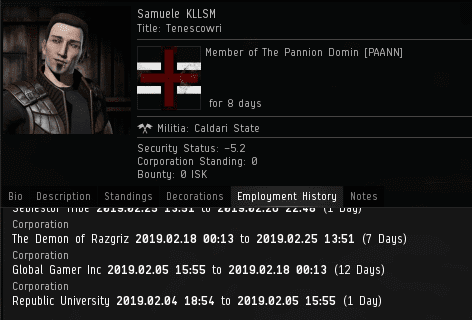 Agent Aiko Danuja referred Samuele to the EVE Online New Player Guide, which contained step-by-step instructions on how to enjoy the game. He'd never seen anything like it, but it was just what Samuele was looking for. With few resources at his disposal, the newbie went forth into the asteroid belts of highsec to find another P to v.
When he awoke from his slumber, Albert III Wesker was bewildered. He hadn't seen the gank coming at all--he was taken completely by surprise. Albert was furious. He was even too angry to stop and ask how much a permit cost. Though he received an EVEmail containing all of the necessary deets, the miner didn't bother to read it. It was like he had a grudge against Samuele. Samuele was no longer disillusioned with EVE. He'd experienced PvP, and found its fruit was sweet to the taste. Four communications in, Albert still hadn't used a lower-case letter yet. This miner had much to learn from Samuele. Despite playing the "newbie" card, Albert had spent much more time in EVE than Samuele. The problem was that it hadn't been well spent. You can log decades in EVE and still be a "new player"--if you never bother to read the Code. Or you can embrace EVE's true spirit and become elite within minutes. Albert chose to remain ignorant. He blocked Samuele, the very person who could've rescued him. 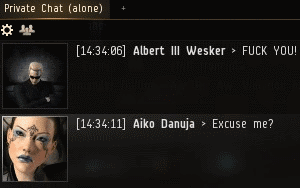 Finally, the miner did a drive-by private convo with Agent Aiko and logged off. Though Albert banished himself to the darkness of bot-aspirancy, the mission was a total success: Samuele chose to continue playing EVE. That's one more player retained by the New Order (and a net retention at that, assuming Albert hasn't unsubscribed)! Jamey and his chode. slaves corrupt another individual. James 315 and his CODE. Agents save another player from quitting due to boredom. I'll be honest. This story had me in tears. It's what this game is about. Players helping players. Good job saving a player! Imagine being so out of touch with your community that you could be an ore thief for 19 months and remain blissfully unaware of the heinous crime you are committing. The good thing about ganking Ventures over Retrievers is that many of the pilots are still teachable. And if it turns out they insist on playing a risk-free theme park game then they can easily quit and go find one. Spare the gank, spoil the miner. Mining is more satisfying knowing that it annoys you lot so much. Ore stolen from Jamie is so much better than that ordinary lowsec stuff. So you admit that James 315 has made your gaming experience more satisying? You should thank him. Wow. So insecure. You want people to thank you for being the bad guys, a bit sad really. Behold The Code! Enriching mining experience since 2012. "miner commando uniform, elite miner sunglasses, stylish miner hair" Aiko cracks me up! :DDD. So glad you saved Samuele from an eve life of boredom!